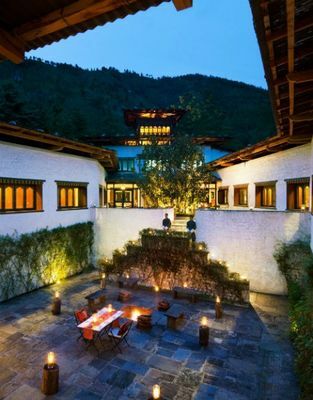 The former capital of Punakha still retains the serene atmosphere of a place with a regal past. 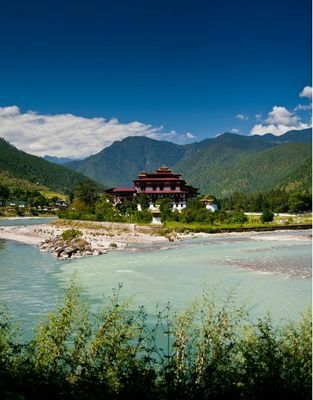 Its Punakha Dzong is the main attraction, majestically standing on an island between the confluence of the Pho Chhu and Mo Chhu rivers, one of the most photogenic of all Bhutan's ancient fortresses beside other religious sites of interest in and around this pleasant little town. 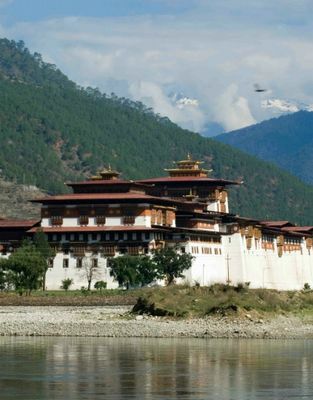 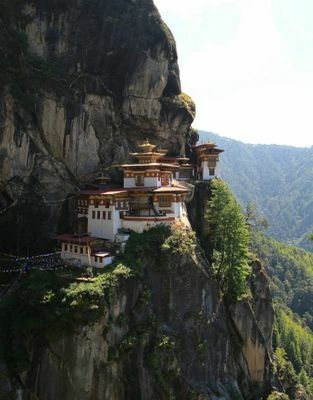 The magnificent dzong keeps its own mysterious atmosphere and intimate privacy and only joined to the mainland by an arched wooden bridge, and contains many precious relics from the days when successive kings conquered the kingdom from this valley.